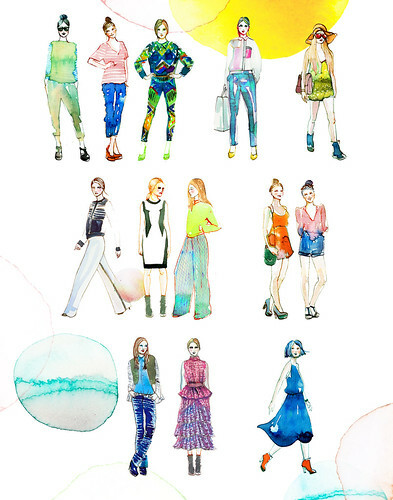 I was thrilled when Refinery 29 Reserve asked me to create some limited edition prints for their newly revamped shop. The shop looks amazingly fresh and refined. We’re offering editions of 20 on each of the summery/vibrant prints. I even created a custom Refinery 29 parade girl print! Check the sale out for the next couple of days! Hope you find something your wall will like. Remember that McQueen shoe from this series? Oh and we literally just walked in the door from a little summer vacation at the North Fork. More on that later. really cool, congratulations! i especially love your use of colors.